Tax Attorney Steven J. Jozwiak - Tax Lawyer in Cherry Hill, NJ. Also specializing in New Jersey expungements, bankruptcy, real estate, probate, and estate litigation. 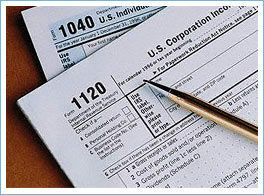 We can resolve and settle all of your tax problems...Federal, State and/or Local. Our fees are reasonable and discounts are available, in most cases. Please call or e-mail us to arrange for a FREE consultation to discuss your case. Please feel free to browse our website, which is filled with informative and accurate tax information. If you have any questions or need help with your taxes, we are here for you. Copyright (c) 2005-16 Jozwiak Law. All rights reserved.